Nicely Remodeled home with a wonderful open floor plan features an abundance of natural light with warm colors throughout. 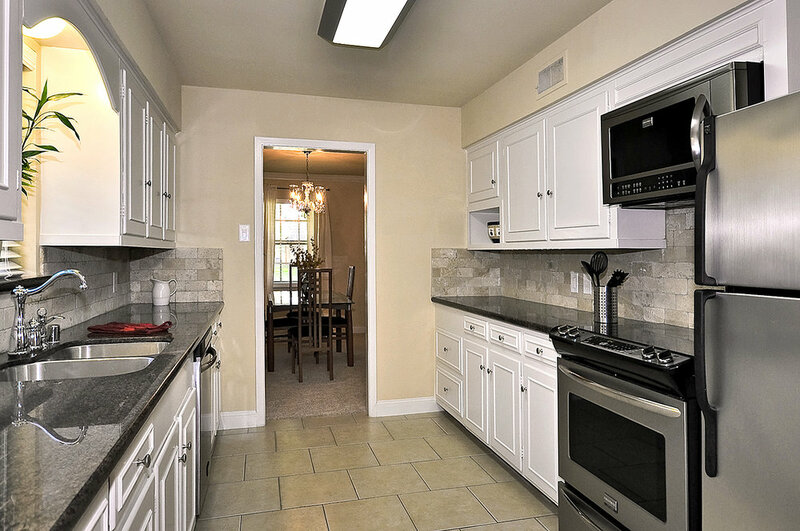 The spacious remodeled Kitchen, boasts of tiled floors, granite counters, tiled backsplash and upgraded matching stainless steel appliances including a great pantry. The large master bedroom is plenty big enough for a king size bed with space to spare. The master bath features dual sinks and his and her closets with a separate toilet room with a large glass enclosed shower. Enjoy the bright family room with a large sky light and French doors opening to a nice enclosed porch. Above the fireplace you will find an LCD mount. Carpeting was just installed throughout the un-tiled areas. The large back yard is great for kids, pets or a pool. The home is located on a secluded but friendly non-thoroughfare street.